As reported by Castlegar News, RED Mountain Resort in British Columbia, Canada, is expanding with the addition of a new chairlift and ski area ahead of the 2019 – 2020 season. 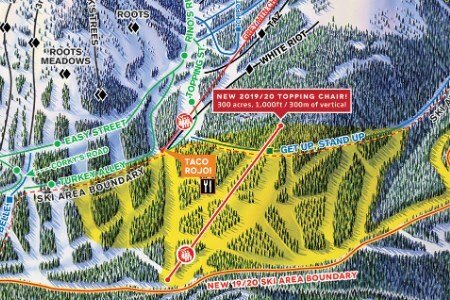 The resort says the Topping Chair expansion will bring new intermediate-level runs, expand the skiable acreage at the resort, and make access to the top of Grey Mountain easier. RED President and General manager, Don Thompson, said the project would add about six jobs to the hill, including lift operations, ski patrol and grooming. The Topping Chair construction covers a total of 300 additional acres and boasts six new intermediate runs. The Rossland resort says the new lift brings the total acreage to 3840, putting it firmly in the ranks of the top 10 largest resorts in North America. RED receives about 160 000 visitors annually.